Immediate Family or the Whole Clan? AS A PROPERTY MANAGEMENT AND CONSULTING FIRM WE SOMETIMES BECOME INVOLVED IN DISCUSSIONS ABOUT THE MEANING OF “IMMEDIATE FAMILY” with landlords and residents. Such a topic probably seems nonsensical since most folks believe they know who is and who is not in their immediate family circle. But the definition of “immediate family” can be elusive and it can vary depending on circumstances. If a landlord or property manager issues a lease that provides certain accommodations or privileges for the lessee’s (tenant’s) immediate family, such as assignment rights or occupancy, conclusively knowing that definition suddenly becomes important, maybe very important. Moreover, since definitions vary, the lessee (tenant) should proceed cautiously before exercising any of those privileges, especially if the lease is not particularly clear about which relatives are considered immediate family. In fact, reliable clarification should be obtained first. So contacting the property manager or an attorney is a good idea. Although we’ve seen immediate family often defined as a spouse (or significant other), children, parents and siblings (also known as nuclear family or simply referenced as close relatives) some only see a spouse and children filling that role. 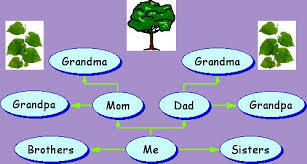 Others would include grandparents and grandchildren … and in some cases definitions expand to in-laws, aunts and uncles. The bottom line: If your lease contains provisions for immediate family, if you intend to utilize those provisions don’t assume to know which relatives are covered. Getting a solid interpretation first then being able to prove an individual’s relationship to you can save inconvenience, heartache, headaches and money.